Zintzo wines are derived out of a long-running family tradition of using traditional carbonic maceration methods to make young wines at our small, family-owned winery, located in the old wineries barrio in Villabuena de Álava. It was in 1994 that Tomas Mtz. 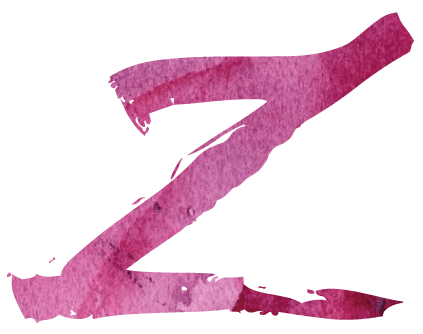 De Cañas decided to launch his own brand, Zintzo, under the umbrella of DO Rioja. In 2000, his son Karlos joined the winery, and a new extension was added to the winery, and so, young, aging and white wine began to be produced here using the facilities of the newly built winery. The new extension features the latest in processing technologies, allowing for greater control of the wines, but all this work is done without losing sight of the winery’s origins and the traditions behind producing quality wines. 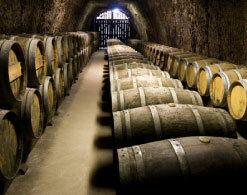 The elaboration of our wines begins in our very own vineyards. During the months of August and September, maturity controls are carried out across the total of our vineyard’s 40 hectares. At the beginning of the harvest, we know the vines that will be used in the elaboration of each of our wines; young reds, wines destined for aging, etc. The alcoholic fermentation process is carried out in 30,000kg capacity stainless steel tanks, each of which has its own pump to undertake pump-overs, spaced throughout the entire day. Temperature control, which is so important across the entire elaboration process, is automated. A tank jacket is used so that we are able to either cool or warm the must or wine: for cold macerations before beginning alcoholic fermentation, or the application of heat to activate malolactic fermentation. A very positive feature of our winery is that the grapes enter the cellar above the height of the mouth of the tank. In this way, the filling of the deposits is gravity-led, avoiding the housing of inconvenient pumps in the facilities. Once the barrelling has been carried out, 3-4 days of cold macerations are undertaken for a greater extraction of aromas and colouring matter. In addition, further macerations are carried out after the alcoholic fermentation process for those wines that require it, such as those destined to be vintage and/or signature wines. The total number of days required until devatting and later pressing is complete can range from 10 to 28-30 days. 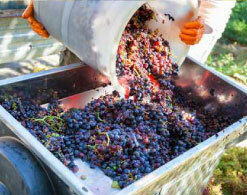 In addition, during the winemaking process, depending on the conditions of each vintage and according to the criteria of the winemaker, different techniques are used to enhance the wines, including: double red pulp, micro-oxygenation, delestage, bleedings, etc. Devatting is undertaken when there is a concentration of sugars less than 4 g/l. The free-run wine is separated from the press wine. The winery has a pneumatic membrane press, so the first pressing is separated from the second, thus obtaining three qualities of wine. After the devatting of the deposits, they are stored in 30,000L capacity tanks to carry out the malolactic fermentation. These tanks also have jacket systems, should the application of heat be necessary. 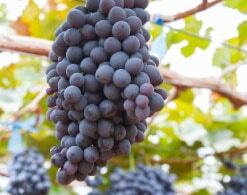 The first pressing will be either be incorporated to the free-run wine or not, in accordance with the criteria of the oenologist, which varies according to each vintage year. 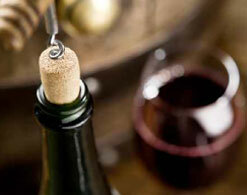 Throughout the winemaking process, complete analyses of the wort/wine status are undertaken at all stages. Those wines destined for aging, will be aged in French and American oak barrels in order to obtain a greater variety of flavours and aromas, lending our wines more complexity.